Last week was classic Provençal weather with a day of rain, but then sunny, warm clear days. 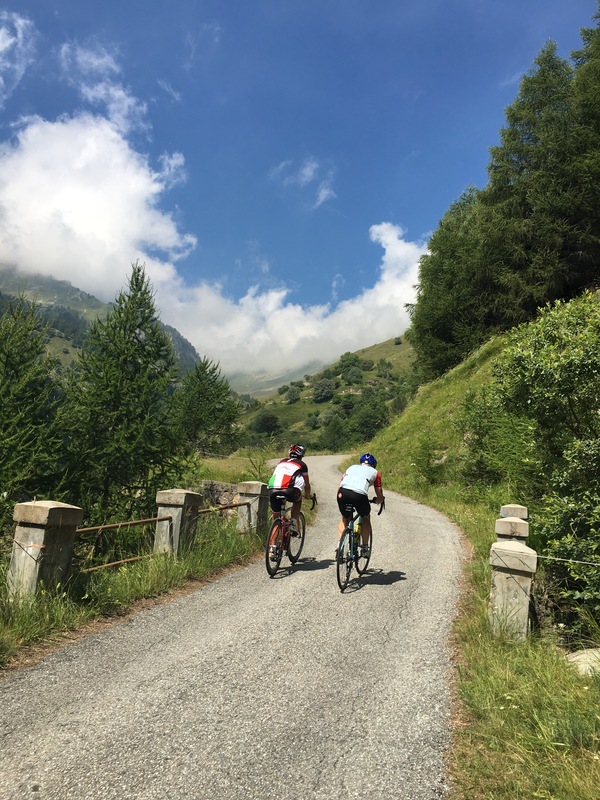 We have been exploring the pre-Alps range of mountains called the Barronies – Beautiful, quiet roads and a café just when you need it. A day off from riding to read, work on bikes and debate the merits of various pâté en croute. This one wins the day – duck, wood pigeon and foie gras – washed down with a 2010 Lirac from Mont Redon of Chateauneuf du Pape. The weather in Provence these past three weeks has been unusually cool with many weather fronts passing through. This morning was clear and calm, so we headed for the 60-mile loop that includes the col de Mont Ventoux. We left Séguret for the newly rebuilt and widened road to Entrechaux and the direct route to Malaucène. The “classic” way up Mont Ventoux, or as Le Tour de France takes it, is from Bedoin. I prefer going up from Malaucène. 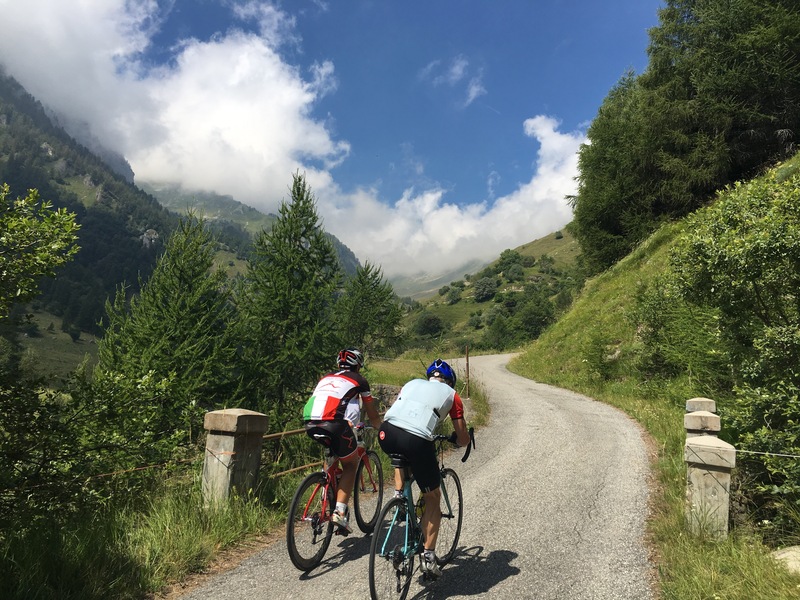 It is at times steeper, but the road is wider, better surfaced, visually much more interesting and has a few flat sections that give you a respite from the climb. While the car barriers are still down, the road is dry and clear despite intermittent storms that pass through and snow banks along the roadside. You generate plenty of heat climbing and don’t think much about the cold alpine air. It feels great to descend into the warm Rhône valley air below as we ride back home. Click on the map for details of the ride. Sunday dawned clear and cool. 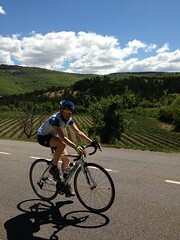 After a quick breakfast we left Séguret headed for the Luberon, our neighboring region to the south. Perhaps made somewhat recently famous by Peter Mayle’s book, A Year in Provence, it is beyond beautiful with picturesque towns such as Gordes, Murs, and Venasque amongst many others. It is a quick, gradually descending traverse from Séguret to Mazan and Venasque on well surfaced departmental roads that skirt Carpentras and traffic to the West. Weekend cyclists are everywhere and many “Bonjours” and “Allez, allez” are passed amongst us.